Is The Post UTME Screening Result Of EKSU Published Online? YES The Ekiti State University (EKSU) Post UTME Screening Result for 2018/2019 Session is now available and published online. Now if you know you participated in the Ekiti State University (EKSU) Post UTME Screening exercise for this 2018/2019 session and you are yet to check your results, kindly use the method provided below to check your PUTME Results. Method to Check EKSU Post UTME Result Online 2018/2019 session. 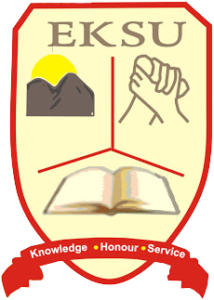 a. visit EKSU post UTME result online at https://eksueportal.eksu.edu.ng/site/screening-result. b. Provide your registration number in the space provided. c. You then click on ‘Search’ to access your EKSU post UTME results and know your score. Remember others need to know about this latest update, kindly share on Facebook by using the share icon.